I had a really good small-brewery Spanish beer here called Estrella Galicia for �3.10, which for a London bar is not expensive. They also had Super Bok at the same price. I asked for Cuban beers, but they said they had supply problems. Urquell was on draft - I forget the price, but it was reasonable. Most people were drinking good looking cocktails and the Estrella. I also had chorizo croquettes and a prawn tempura at the bar - fresh and tasty. Pretty good place. Went last weekend and had some very tasty cocktails. Not a huge selection of beers - Urquell on tap was good and a Spanish lager called Estrella Galicia in bottles was great and not expensive. 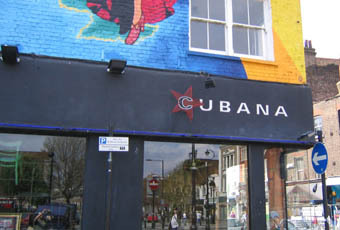 No Cuban beers at the time due to supply problems, apparently. We had good food too - fresh tasting tuna cakes and marinated sirloin steaks were the highlights and late night Latin band made a great atmho - all in all, inexpensive night out. Visited the other day at lunch time. Quiet but ever helpful staff. Food was great and reasonable. Beers very nice and I settled for a nice Cuban one. I was initially overcharged which I failed to notice. The bill should have been �22.20 but was charged �222.00 My wife pointed it out a few days later when she found my receipt! I rang my bank and the restuarant had realised the mistake and had corrected it. How honest is that! Well impressed. 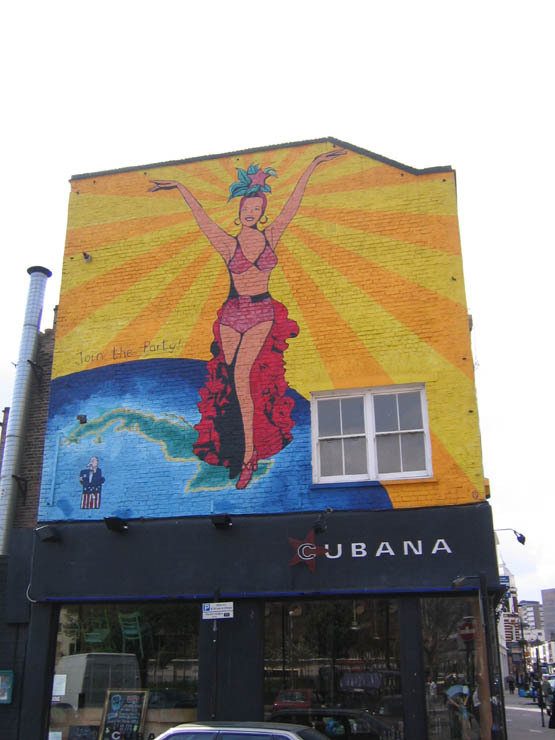 What is not to like about Cubana? They have great value mojitos - I tried a ginger one which tasted great. I had one of the best value sirloin steaks Ive had in London in a long time, and because I'm a greedy chap had a great lime cream meringue pie great. Drinks were good, food great and service was fine. Overall a good night out. Agree that the decor might not be everyone's cup of tea, but I had a great time last week. Shared tapas with a friend. Took a while to get served - but worth the wait. Food was reasonably priced for central London, and the lunchtime menu also looks good value - but suspect I won't have a jug of mojito's if I visit then.